All tanks break down, are subject to mother nature and get stuck in ditches or deep mud. They also get damaged whilst in combat. Tanks are expensive and can not afford to be just abandoned in these situations, so you need a vehicle capable of repairing or rescuing these vehicles and offer the engineering crew a level of protection as well as match the mobility of the vehicle they are rescuing. Modern Armoured Recovery Vehicles have a telescopic boom crane capable of lifting the vehicle up to access the road wheels and underbelly of a tank, lift out and lift in a new powerpack (engine & transmission). It has winches strong enough to pull a stuck tank free from an obstacle and dozer/stabilization blade used to ground the vehicle whilst operating its winch. It also carries various tools for the engineers, which can be anything from spanners to welding equipment. Poland during its years as a member of WARSAW, licensed manufactured the Russian T-72 Main Battle Tank. It then went on to up grade these vehicles and also export them under the designation PT-91. This set a requirement for an Armoured Recovery Vehicle for both these vehicles to be manufactured by Poland. When the T-72 entered service with the Polish Army in 1978, which set a need for a new ARV. It was decided that the T-72M hull would be used. Wojskowy Instytut Techniki Pancernej i Samochodowej (Military Institute of Automobile and Armour Technology) from Sulejówek pointed out the main requirements of the vehicle and Ośrodek Badawczo-Rozwojowy Urządzeń Mechanicznych in Gliwice made two prototypes. 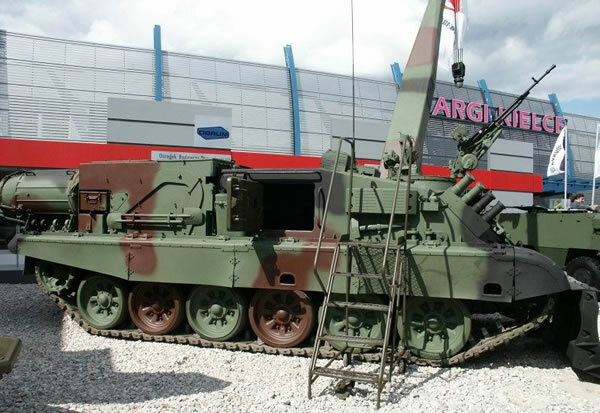 Trials were carried out from 1986 to 1988 and it was immediately accepted into service with the Polish Army. During a short production run, which ended in 2003. 20 of those vehicles were built. 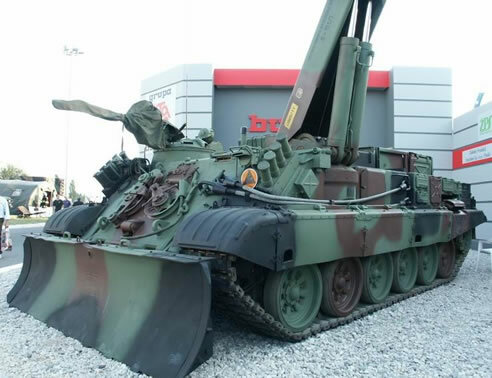 When the PT-91 entered service with the Polish Army, it was decided that the WZT-3 which was based on T-72M should be upgraded with elements from PT-91. The upgraded variant was given WZT-3M designation. The main difference was the engine. The original WZT-3 had a 780 hp (582 kW) 12-cyl. diesel engine from the T-72M. The WZT-3M has a 850 hp (634 kW) PZL-Wola S12U 4-cyl. 38.9 litre diesel as used in the PT-91. Production of 9 vehicles was completed and the 20 older WZT-3 were upgraded to the WZT-3M standard. 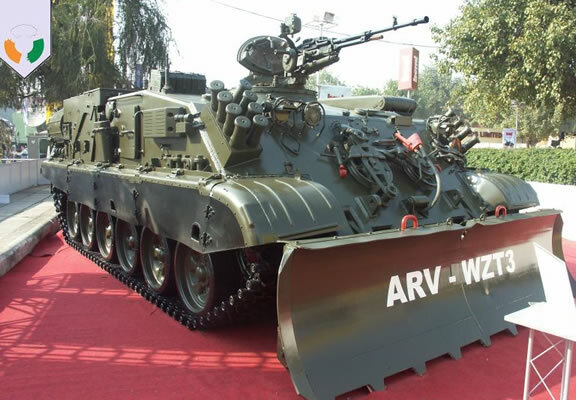 India – In April 1999, India has ordered 44 WZT-3 ARV‘s, this order was followed by another two orders in April 2002 (another 80 vehicles) and in July 2005 (228 vehicles) – that gives the total number of 352 WZT-3 ARV’s ordered by India. Vehicles are used to support units with T-72 and T-90 MBT. 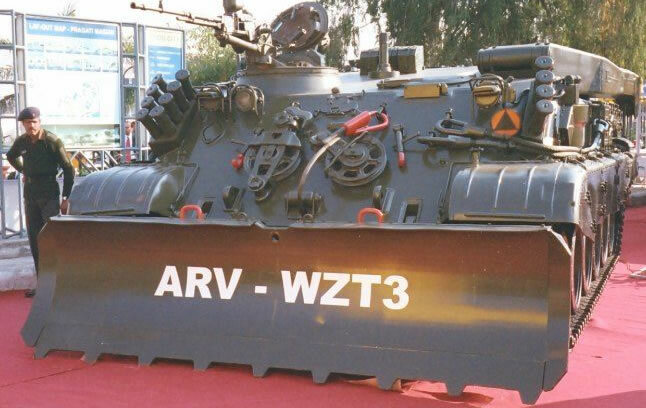 Deliveries began in 2001 and has pushed the WTZ-3 to become the post exported ARV in the world.